Chris Abani was born in Nigeria. At age sixteen he published his first novel, for which he suffered severe political persecution. He went into exile in 1991, and has since lived in England and the United States. His book Daphne's Lot is a collection of poetry for which he won a 2003 Lannan Literary Fellowship. His book, Kalakuta Republic, is a collection of poetry based on his experience as a political prisoner in Nigeria, and received the PEN USA West Freedom-to-Write Award and the Prince Claus of the Netherlands Award. 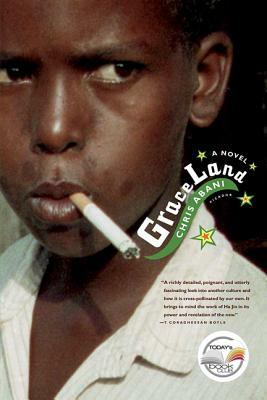 “Chris Abani's Graceland is a richly detailed, poignant and utterly fascinating look into another culture and how it is cross-pollinated by our own. It brings to mind the work of Ha Jin in its power and revelation of the new.” —T.C. Boyle, author of Drop City"